As a team, we love challenging ourselves with the applications of big data. Therefore, we thought that Credit Suisse's challenge that aims to detect fraudsters on a synthetic dataset was a great fit for us. So we implemented the first challenge to come up with algorithms to find suspicious actions efficiently. Flow pattern: Money goes from 1 person, propagate through a network of nodes and end up at another person’s account missing a small amount (payments to the intermediate nodes). All this happens in a short time range (days, hours). 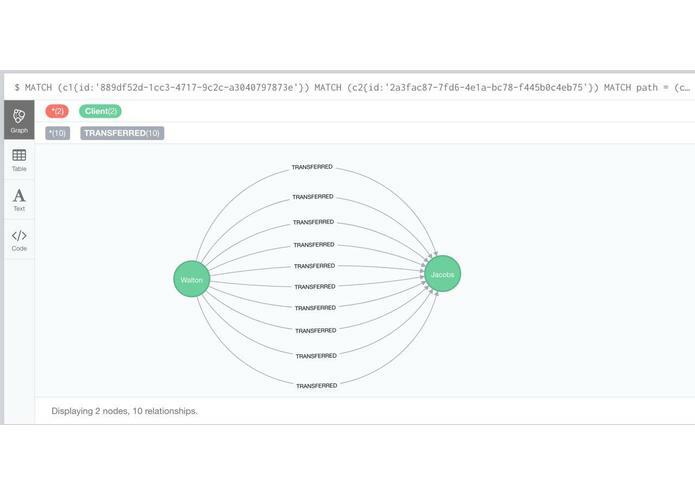 Circular pattern: Money goes from one person to another one, etc., and finally comes to the person who initiated the first payment missing a small amount (payments to the intermediate nodes). All this happens in a short time range (days, hours). Time pattern: Money goes from client A to client B in multiple transactions of the same amount which are equally spread in time. Human trafficking pattern: Money goes from multiple people to one and then goes to another person. 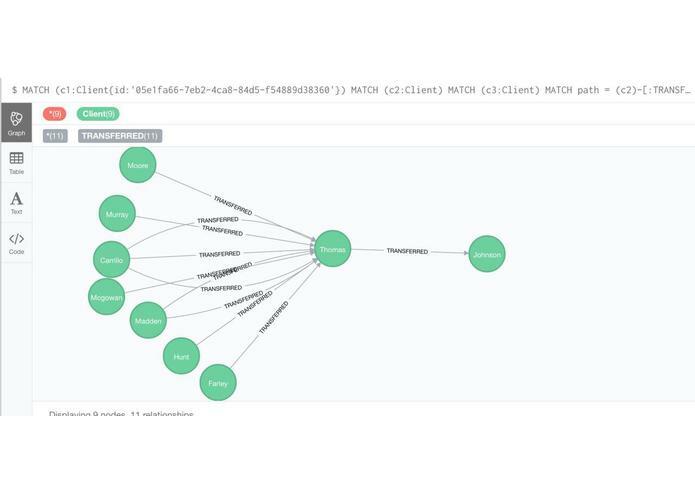 These clients are detected and are visualised with the help of Neo4j. We used Python 3.x (Jupyter Notebook to have the code organised), a powerful DigitalOcean server (the data was big!) 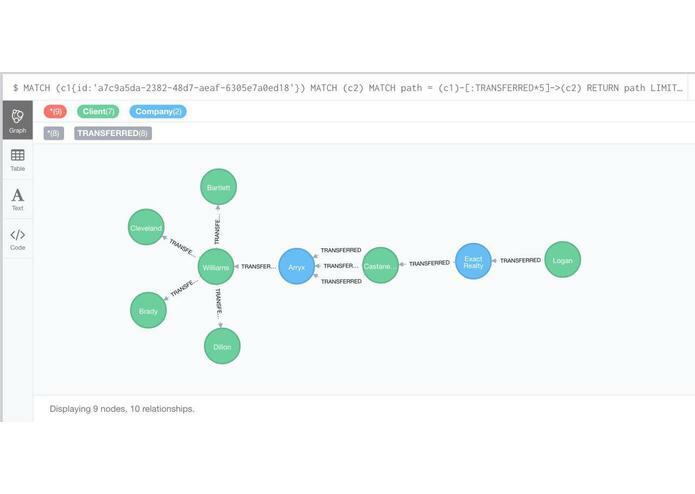 and Neo4j to see our implementation results in a human-friendly way. 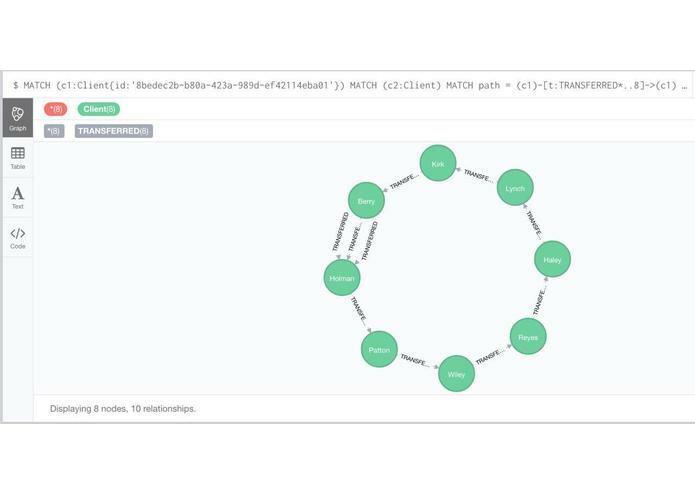 It was our first time with Neo4j, we spent a fair amount of time on learning it in a very detailed way. Then we figured out that we should use it only to validate the results that we find rather than finding results. The datasets; operating with them was quite challenging. There were invalid data rows so we had to spent some time to eliminate them or to use them for our good. Also the data was very random, for example for a fraud type, the small dataset did not contain any pattern that has more than 1000 amount of the currency involved. We have implemented 3 patterns that can potentially detect fraudsters on the provided synthetic datasets. There can be a web application built to query possible fraudsters for a specified time period, specified people or countries. We believe that this would increase the user experience immensely.